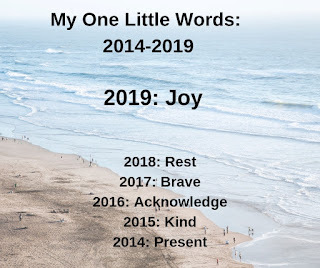 Two Reflective Teachers: My One Little Word for 2019: Let's add some joy to the mix! Joy is a wonderful word for you this year. I look forward to seeing where it takes you. 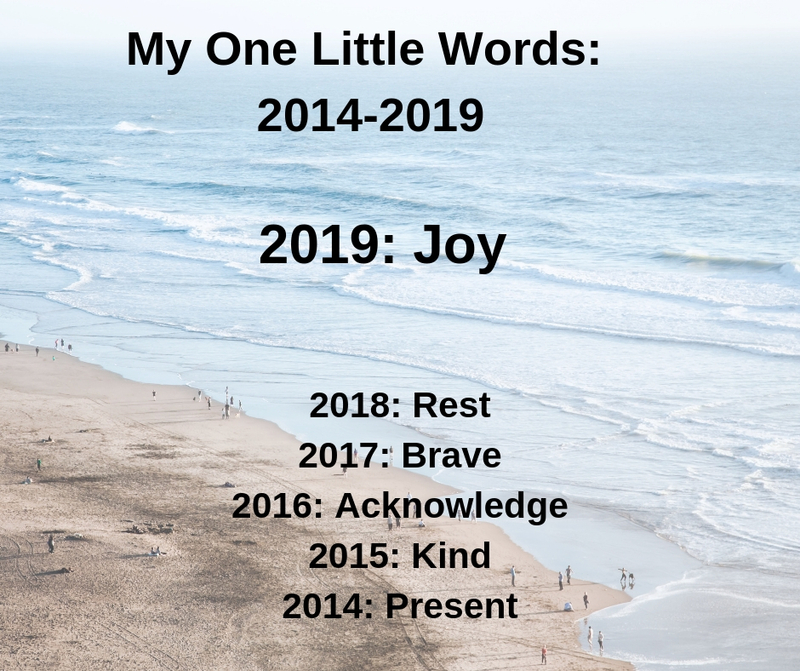 I'm still working on my word for this year. I have three contenders. I love the idea of making a verb out of joy. Let's joy the heck out of 2019! Joy is a fun OLW! I've always had the approach of finding and appreciating the tiny things and moments that bring joy (like having my 18 year old home from college doing a puzzle in the room here!) I think JOY is a perfect lens for 2019! Have fun finding JOY in small and large moments!